New book, 413 pages. Henry VIII was Britain's most powerful monarch, yet he was not born to rule. Thrust into the limelight after the sudden death of his elder brother, Prince Arthur, Henry succeeded his father as king in 1509, and began a reign wich was to alter the course of English history. 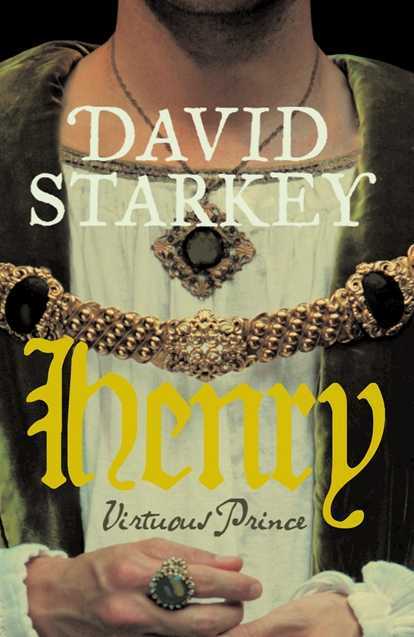 Published to mark the 500th anniversary of Henry's accession to the throne, and the culmination of a lifetime's research, David Starkey's magisterial biography of Henry's early life examines one of the most enduring of the monarchy as a man. It gives a radical and unforgettable portrait of a Renaissance prince who turned tyrant, and unpicks the complexities of and influences over the king who, half a millennium after he lived, still towers over history.